Enterocolitis (EC) is the most common and serious postoperative complication of Hirschsprung’s disease (HD). Probiotics potentially play a protective role in maintaining intestinal mucosal integrity. Based on the beneficial effects of probiotics, we hypothesized that oral probiotics could decrease the incidence and severity of Hirschsprung’s disease-associated enterocolitis (HAEC). We conducted a prospective, multicenter, randomized, and controlled trial to assess whether oral probiotics could decrease the incidence and severity of HAEC. HD patients were randomly assigned into the control group and probiotic-treated group. All children in probiotic-treated group were fed with probiotics per day for 4 weeks. In next 3 months, the incidence and severity of HAEC were analyzed. The peripheral blood T lymphocyte subsets and cytokines, including TNF-α, IFN-γ, IL-6, and IL-10, were analyzed by flow cytometry and enzyme immunoassay (EIA). Compared with the control group, the incidence of HAEC in the probiotic-treated group was significantly diminished. The severity of EC was also remarkably decreased. Furthermore, probiotics balanced T lymphocyte subsets. 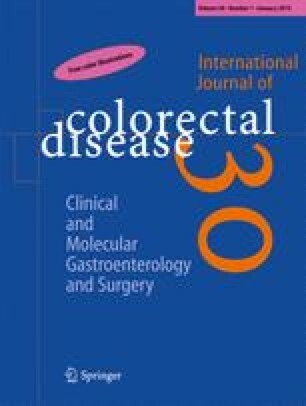 Moreover, pro-inflammatory cytokines TNF-α, IFN-γ, and IL-6 were significantly decreased and anti-inflammatory cytokine IL-10 was notably increased in probiotic-treated group. Probiotics not only significantly diminished the incidence but also decreased the severity of HAEC. Moreover, our study revealed that probiotics decreased pro-inflammatory cytokine and increased anti-inflammatory cytokine and furthermore balanced T lymphocytes (registered with ClinicalTrials.gov, NCT number: NCT01934959). Xiaolin Wang and Zhi Li had equal contribution to this manuscript. This study was funded by National Key Specialty ConstructionProgram (2013544) and National Natural Science Foundation of China (PI:Zhi Li;No:81400579). Zhi Li and Xiaolin Wang wrote the manuscript. Jiexiong Feng designed the trial and revised the manuscript. Xiaolin Wang, Zhi Li, Zhilin Xu, Zhongrong Wang, and Jiexiong Feng coordinately conducted this trial.